Verdicts for premise liability cases have grown in recent years, highlighting a disturbing trend for landlords. It’s no longer uncommon to see sympathetic juries award $1,000,000 or more for injuries that occur at a rental property. Premise liability extends beyond slipping on an icy sidewalk or falling down a staircase. These claims include a wide range of hazards, including secondhand smoke and harm caused by other tenants. Premise liability stems from a landlord’s duty to keep tenants safe and the property in good repair. That requires a reasonable degree of vigilance. Landlords must anticipate and prevent common situations where tenants and visitors are likely to be injured. Landlords must keep tabs on who is living at the rental property and make certain those people have been properly screened. Running tenant background checks on new tenants, requiring guests to undergo background checks, and vetting employees reduces the chances that a landlord will be held liable for injuries caused by others. Make it easy for tenants to report problems. Tenants are good at flagging hazards, like crime in the parking lot, a wobbly handrail, or a loose deadbolt. The best way to avoid liability is to avoid injury, so pay attention to these complaints and act on them immediately. If an injury does occur, there is little doubt the tenants who complained earlier will be on hand to testify at the trial. Ignoring tenant complaints could result in punitive damages, which may not be covered by insurance. The lease agreement can be a useful tool in reducing premise liability. By including provisions that limit guests who have not been screened and prohibit dangerous behavior like use of pesticides, disabling smoke alarms, smoking, misuse of extension cords, burning candles, storing dangerous items, hoarding, and crime, a landlord can greatly reduce the likelihood of harm. NOTE: Do not attempt to limit premise liability by transferring responsibility to tenants or asking tenants to waive their legal rights. These provisions generally are unenforceable and may violate consumer protection statutes. Speak with an attorney to determine if any limitations of liability may be included in the lease agreement. When a lawsuit is brought for premise liability, most states require the jury to assess the relative fault of all parties. It is possible, for example, that the landlord is 60% liable and the victim 40% at fault. That can reduce the damages owed. The higher the victim’s fault, the higher the likelihood that the landlord will win the case and not pay damages. Landlords may not be liable in situations where the tenant’s injury occurs from something unforeseeable. Landlords also may avoid liability if the injury is a result of misuse of the property, such as retrofitting electrical systems, overtaxing appliances, or crime. Warnings can play a role in avoiding premise liability. For instance, posting occupancy limits for balconies may prevent injuries. These defenses require evidence, so keep contemporaneous records, including a history of tenant complaints and completed repairs. 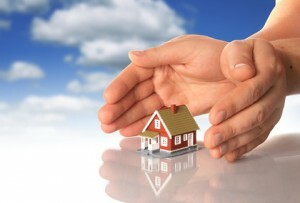 Speak with your insurance agent regarding the specifics of your property insurance coverage. It is important to plan for any out-of-pocket costs that might occur if a claim is filed, and to secure additional insurance riders to cover likely scenarios. Discuss whether requiring tenants to carry renters insurance would reduce liability. Also, the agent may have additional suggestions on how to keep the rental property safe. Next post: Reputation Matters: Are Landlords Losing the Ratings Game?